University of Wollongong website front page story/video November 2014 – Interview with Matt and Lachlan plus underwater video footage. Win News September 2014 – Interview with Lachlan and Matt. CONNECT: UOW Magazine November 2014– Interview with Lachlan and Matt. Research and Innovation News UOW July to September 2014– Profile Lachlan. 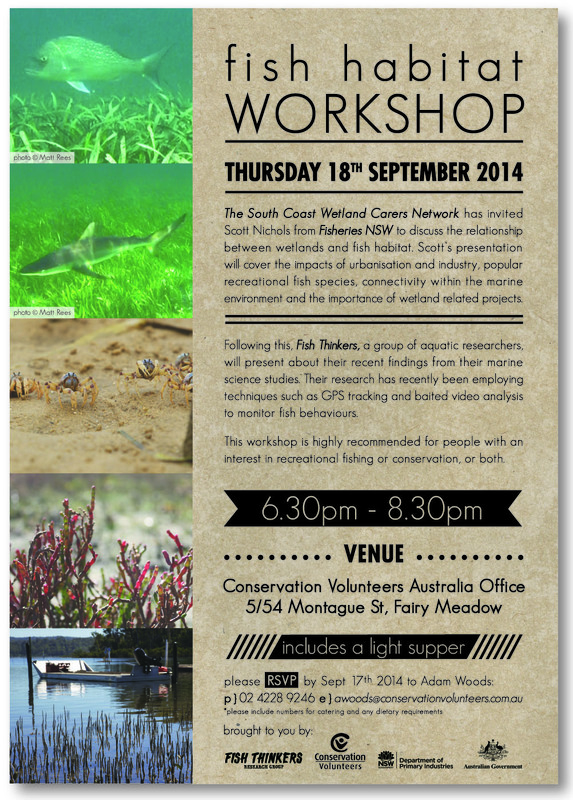 Fish Habitat Workshop Wollongong September 2014 – Matt and Lachlan invited speakers. 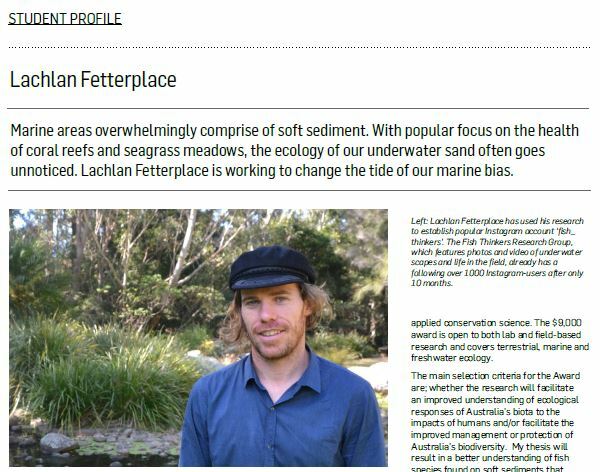 Ecological Society of Australia: The Nature Conservancy Applied Conservation Award 2014 – Round up of Lachlan’s research. 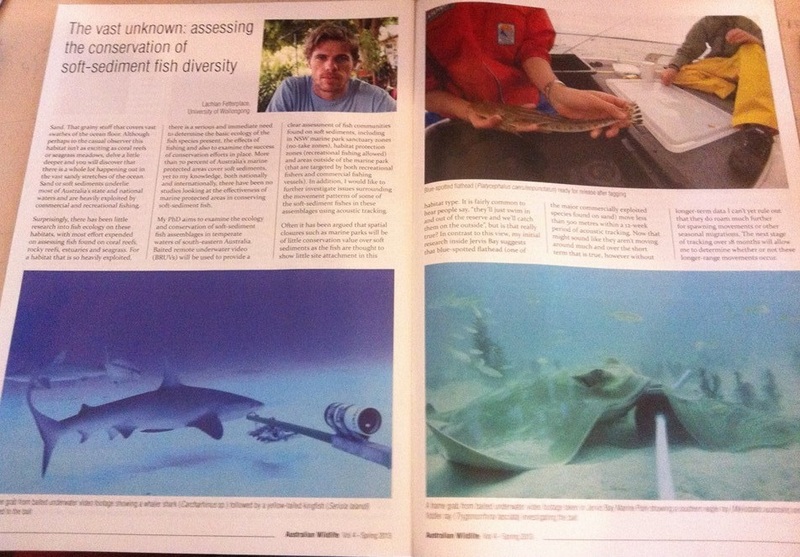 Ecological Society of Australia: The Nature Conservancy Applied Conservation Award 2012 – Round up of Matt’s research. 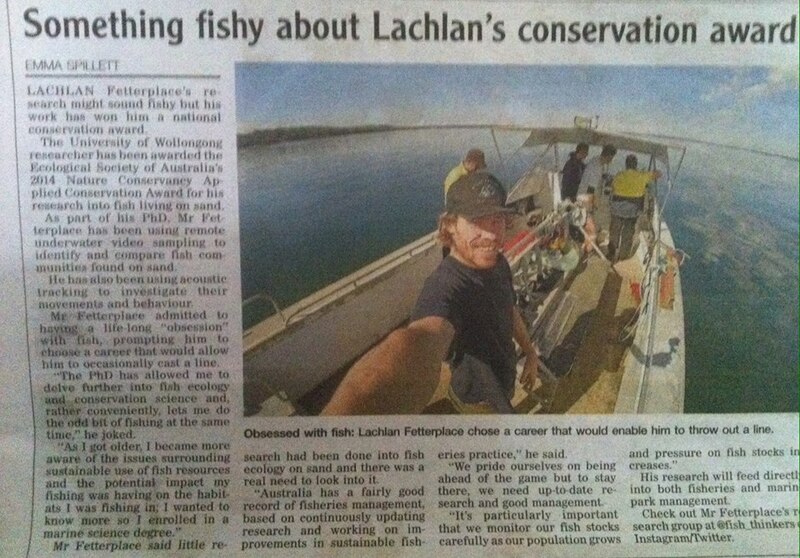 Illawarra Mercury October 8th, 2014- “Something Fishy about Lachlan’s conservation award’. Fetterplace LC. The vast unknown: assessing the conservation of soft sediment fish diversity. Australian Wildlife Magazine Vol 4- Spring 2013.